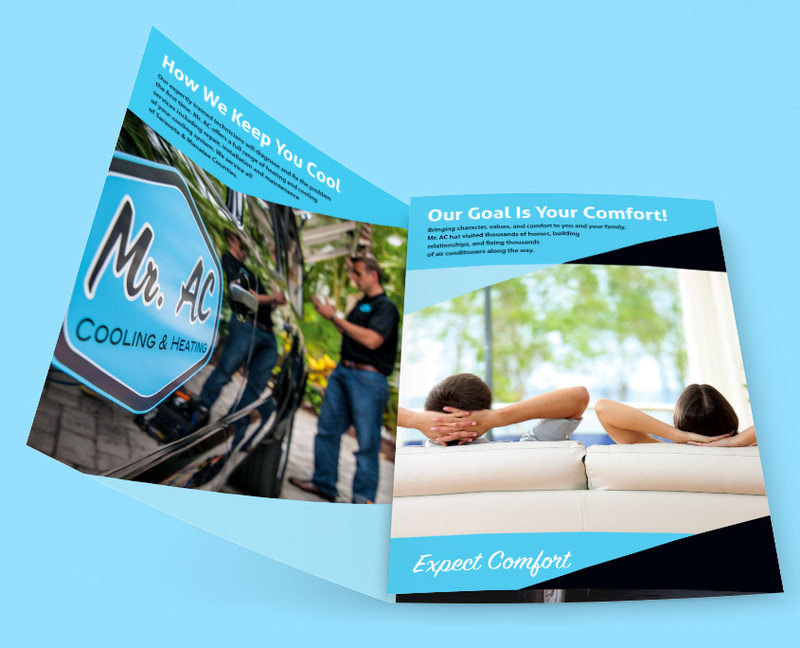 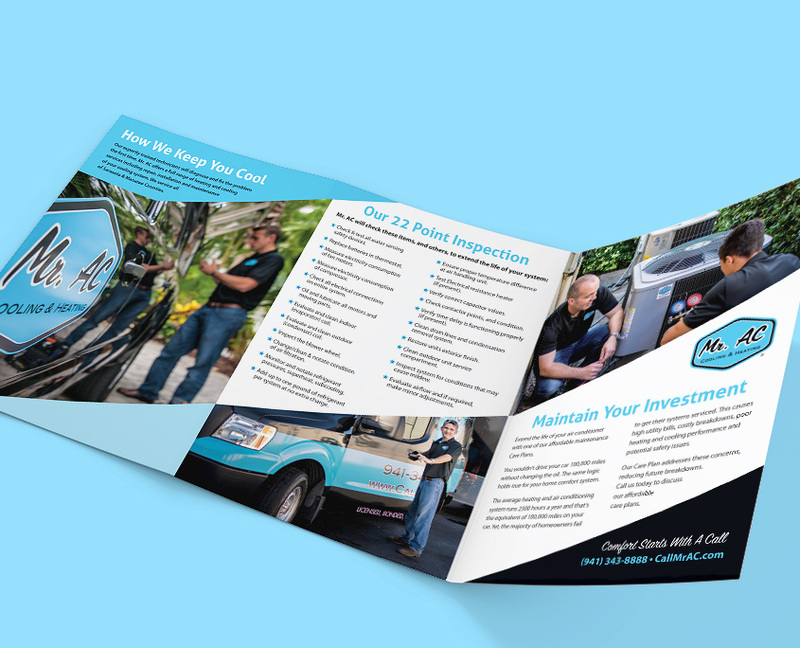 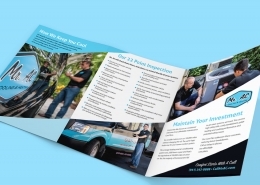 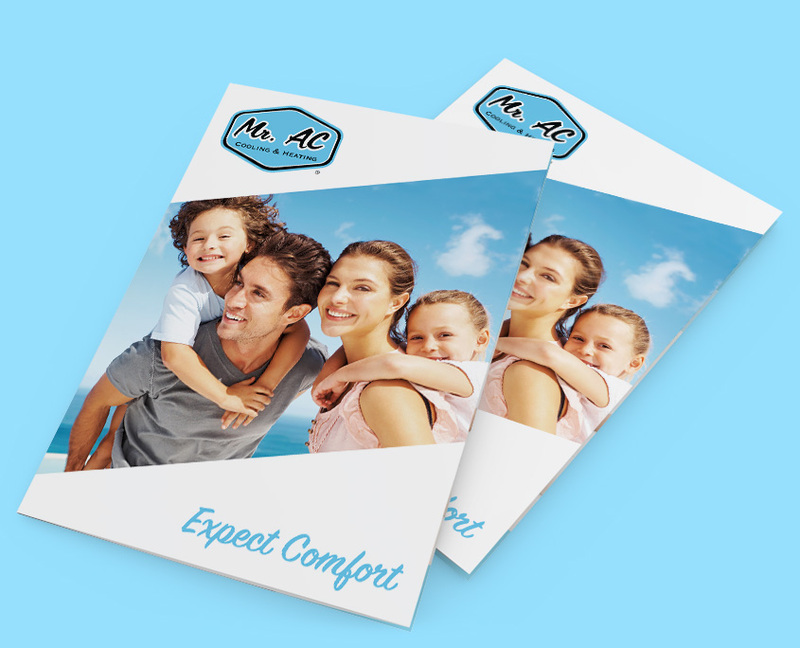 Mr. AC is a heating and cooling company located in Sarasota, Florida. 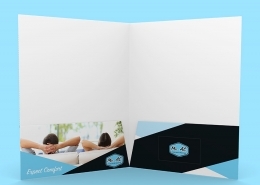 The focus of this design was to convey a feeling of comfort both in approach and temperature. 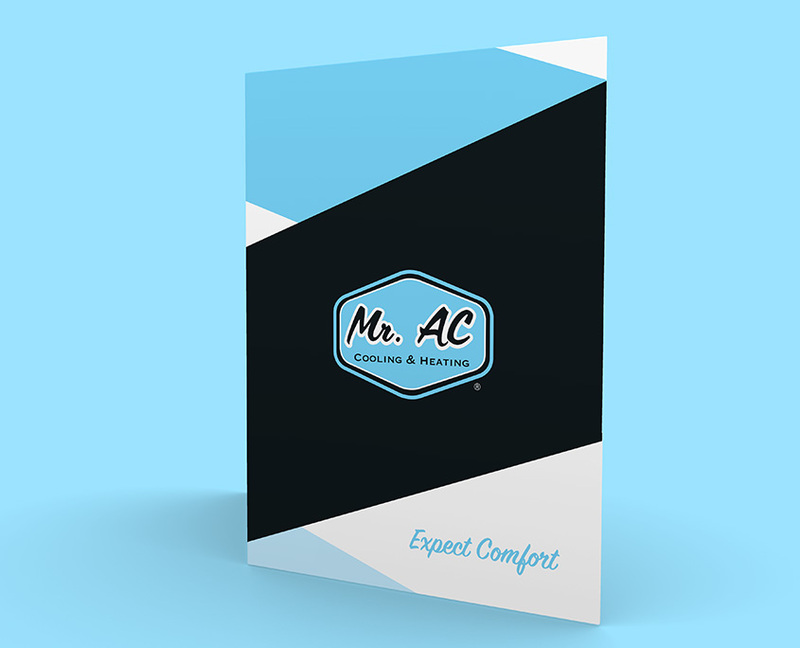 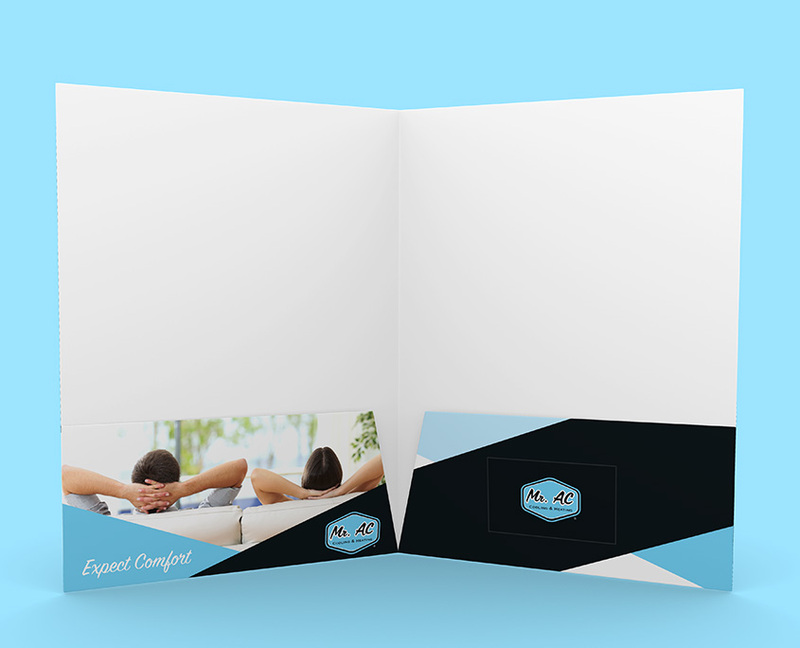 Our task involved creating a unique brochure design & folder for Mr. AC. 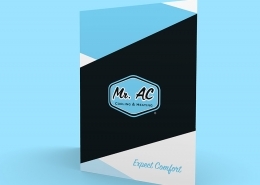 Our goal was to give the audience a feeling of comfort while also conveying that Mr. AC provides industry leading service and professionalism.